Luca Costa (Centre Bioch. Struct., Montpellier): "Introduction to atomic force microscopy: methods and instruments"
Giovanni Dietler (Ecole Polythech. Féd. 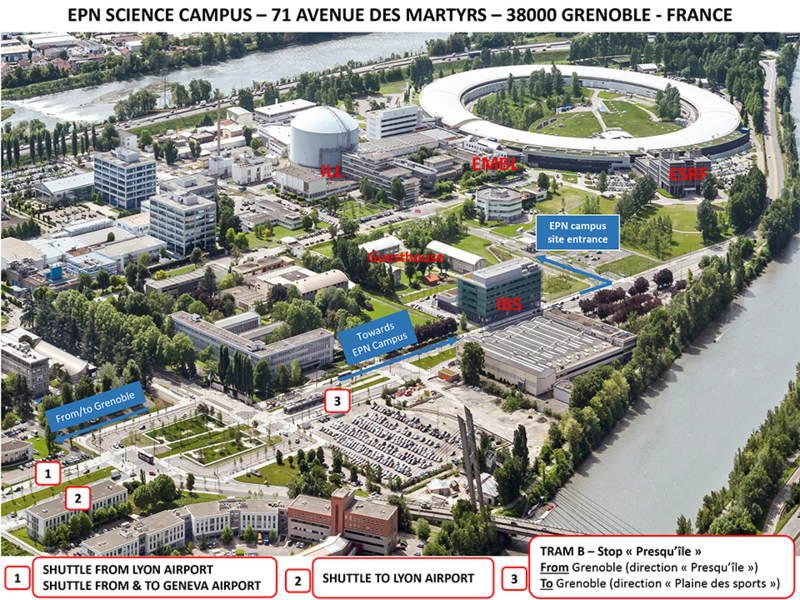 Lausanne): "Polymer physics and topology of DNA at the single molecule level: an AFM Study"
Alexander Dulebo (Bruker, Karlsruhe): "About AFM probes"
Frank Lafont (Inst. Pasteur Lille): "Correlative microscopy using AFM to study cell mechanobiology"
Pedro de Pablo (Univ. Autónoma de Madrid): "Imaging and force spectroscopy of viruses with Atomic Force Microscopy"
Jean-Luc Pellequer (IBS Grenoble): "Atomic Force Microscopy and image processing and analysis"
Laura Picas (Centre Bioch. Struct., Montpellier): "Quantitative mapping of biological membranes using AFM"
Lorana Redondo-Morata (INSERM Marseille): "High-speed Atomic Force Microscopy: probing the dynamics of biomolecules"
Felix Rico (INSERM / Univ. Aix-Marseille): "Mechanics of single proteins probed by force spectroscopy"
Hermann Schillers (Univ. Munster): "AFM in cancer research"
Five AFM instruments will be accessible: Two multimodes, one Bioscope Resolve, one FastScan, and one Cypher VRS. Plus computers for image processing and analysis.